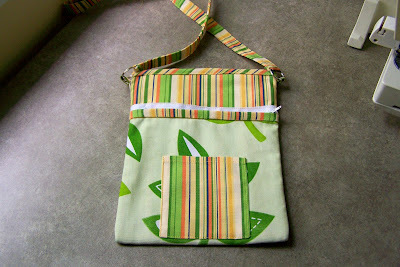 Ever in need of a bag to keep your keys, phone and some money when shopping or stopping for a walk at the park? Then this is it! 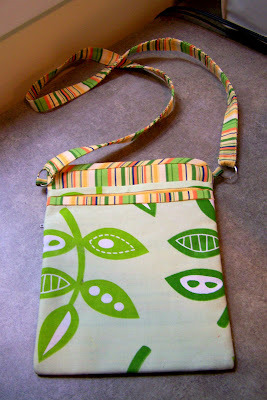 The pattern is reviewed here and the fabric used is a combination of Modern Flora and some stash fabric. My neighbor commissioned a bag, but since she had a birthday, we decided it would make a perfect gift. Below is the haul from my new favorite therapy: beachcombing for sea glass. It’s an obsession almost. But so much fun! It simply amazes me that nature turns garbage into something so beautiful. Three of us competed for categories such as most, biggest, prettiest, …. On the last stretch of beach, a beautiful turqouise piece of sea glass jumped out at me. This piece has a beautiful color and is polished smooth. It was just the piece to give our neighbor. We made a simple wire-wrapped pendant. Our neighbor was thrilled with her birthday gifts. We are thrilled to have her as a neighbor and a friend. She is truly a treasure.